"Phase separation" are words you hear often associated with ethanol gasoline. It's something that happens when the E10 or E15 gets exposed to too much water and it spells bad news when it comes to running the fuel in your car or boat or lawn mower. Ethanol (ethyl alcohol) normally blends seamlessly with gasoline. That's why you can't have an additive to remove ethanol from gasoline - when the ethanol is added, it mixes with the fuel and it's pretty difficult to separate them. Unless you add too much water to the mixture. Let's break it down. Ethanol itself attracts and absorbs water from whatever is around it. The 10% volume of ethanol that's in typical gasoline is always looking to absorb humidity from the outside air. And all ethanol blends have a certain tolerance or ability for absorbing water into the mixture. When you get past a threshold (which depends on the percentage of ethanol in the fuel and also the outside temperature), the ethanol fuel blend can't absorb any more water. But it (the ethanol) still wants to attract and hold onto more water. 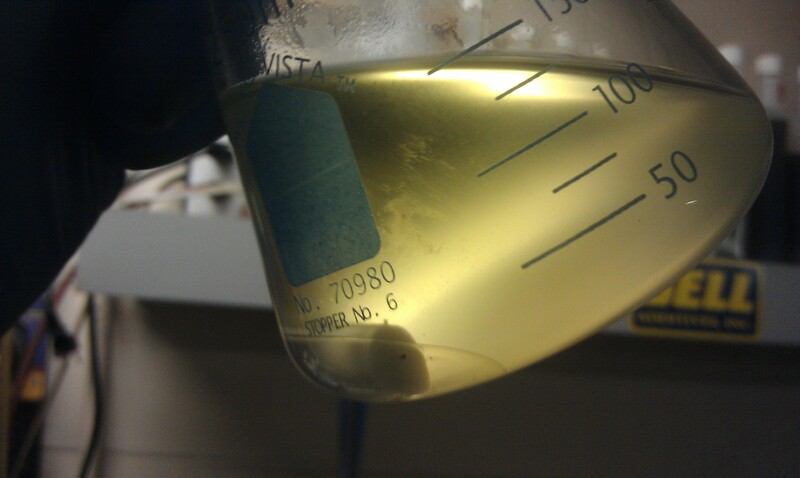 But now that it's past the limit for the blend, the ethanol is going to "fall out" of solution with the gasoline. Meaning that the ethanol "phase" separates from the gas "phase" and that's when you have "phase separation". Since ethanol and water are no longer blended with the gasoline, they sink to the bottom of the tank. If you were to see a cut-away view of that tank, you see the gasoline on top, a milky layer of ethanol+water below that, and a small layer of just water at the very bottom. That gasoline is probably a lower octane fuel than it used to be, because the ethanol strips out some of the octane and takes it away when it falls out of solution. How long can E10 last before this might be a problem? 90 days is a good rule of thumb, but that's only under ideal conditions. This post was published on May 14, 2013 and was updated on March 8, 2019.